One of the most popular destinations to visit in Europe is the capital of the Netherlands, Amsterdam. 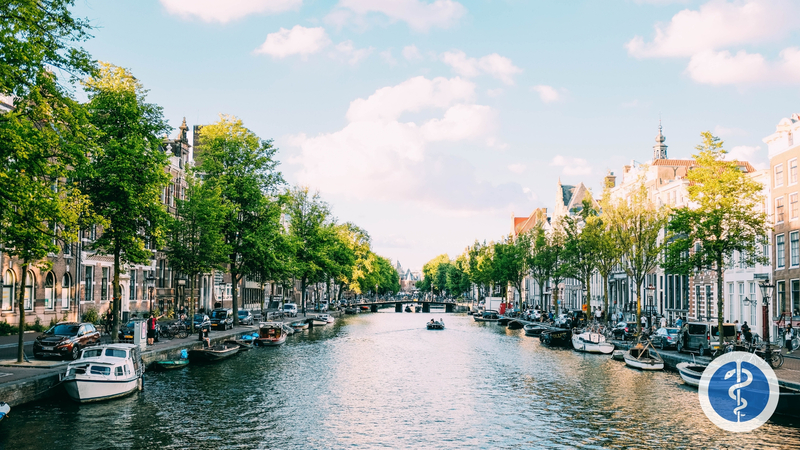 There are many hotspots to hit when in Amsterdam such as the famous canals, the Jewish Guarter of Anne Frank for some rich history, the Van Gogh Museum and Rijksmuseum, and of course the parties. We have heard about the wild adventures one can endure on a night out in Amsterdam. It is important to keep in mind that while this is one of the most fantastic trips you will experience in your life, you need to be safe and conscious of your surroundings. Imagine this. After a long day of exploring Amsterdam and sightseeing all throughout the city, you and some new friends you met up with in a hostel decide to go out for some drinks. You are so into the moment and begin to lose count of how many beers you have had. You are a little dazed and confused then decide it is time to make your back to your hostel. On your walk home you suddenly burst into a sprint because you are drunk and feeling good, then all of sudden fall down. Your friend from the hostel is behind you and witness your fall, then helps you back home. You wake up the next morning with a major migraine and chipped tooth! OH NO. WHAT TO DO. Well I will tell you. Call TripMedic! TripMedic is here to help you through any crisis and injury. With TripMedic our team can help you first get you to a GP to check for a concussion after your rough fall to the ground and make sure there are no further injury. TripMedic could also refer you to a dentist who can put in a temporary tooth cap so not all of your photos in Amsterdam are ruined. The most useful part of the convenient service is that TripMedic will connect you with an English speaking doctor. Before sully explaining the simple steps to booking your english speaking doctor, you should know a little about Amsterdam’s healthcare system. Amsterdam is known for having on of the best healthcare systems in Europe. They have implemented several primary care centers opened 24 hours per day, 7 days per week in order to reduce wait time. The Netherlands spends more than 10% on health. It is also important to recognize that many Dutch doctors speak excellent English, so there should be little to no issue with language barriers. In most cases you have to have health insurance to stay in the Netherlands and access Dutch healthcare services, even if your stay is temporary. 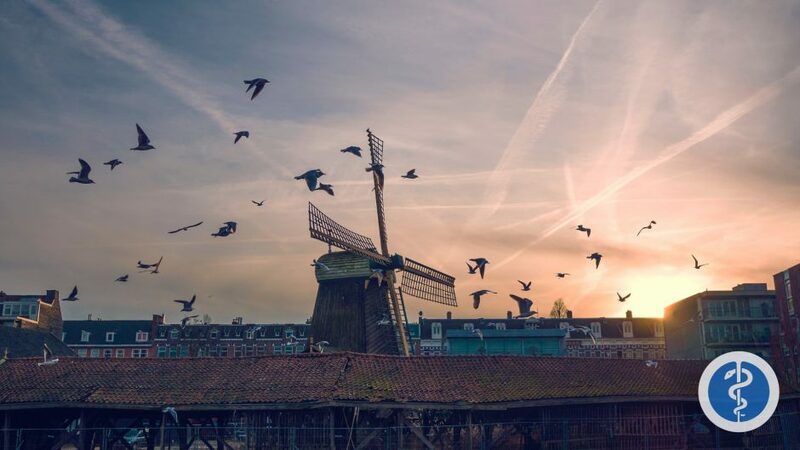 For those who plan to stay in Amsterdam for less than a year are considered a temporary, so you do not need Dutch insurance but will be required to have some form of insurance. If you are using international insurance, then it is important to see if it is accepted and what services will be covered in Amsterdam. If you are not a temporary personal then you will be required to access Dutch health insurance. Non-working students will be given European Union Insurance Card (EUIC). For further information click on the link here. The annual Dutch insurance changes yearly, but will cover all basic medical care. TripMedic is truly an awesome organization that saves travelers a lot of time and effort when searching for convenient and fast medical service. We want all travelers to be safe, healthy, and happy exploring their travel destinations. Finding an English-speaking doctor has never been easier! You can book your English speaking doctor by phone or online. Now that you have booked your appointment and learned more about TripMedic in Amsterdam, sit down, take a breath, and enjoy the rest of your travels!